Gareth Bale has been the subject of much speculation after his erratic performances so far this season. He looks almost certain to leave the Galacticos this summer and according to his agent Jonathan Barnett, there might come a time when he doesn’t enjoy playing for the Merengues and that is when he could decide to change things. Barnett also stated that the Welshman has the ability to change the complexion of any game if he plays for 90 minutes and that there are a lot of clubs who want to acquire his services. “It is about whether he enjoys playing for Real Madrid and he does at this moment. It might well be the time will come that he has had enough but maybe by coming out and saying what I think, some normal human beings at Real Madrid will think ‘hold on a minute, it is wrong what we are doing’ and maybe they will change,” he said. Harry Kane has been one of Madrid’s biggest targets over the last year. His name has been linked on a number of occasions and it seems as though Florentino Perez will go all in for him this summer. Real Madrid want to renovate their defense and according to reports from Spain, Florentino Perez has already closed the deals to bring Mario Hermoso and Eder Militao. 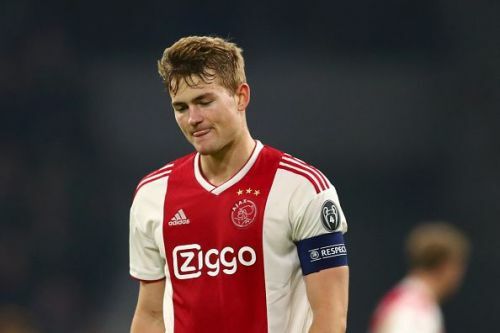 Nacho and Vallejo are expected to be sold and Perez is negotiating a move for €70 million De Ligt, who prefers a move to Barcelona but the Catalans may not have the money to buy him.